Truth be told, the last few years have gone pretty well for WeldWerks Brewing Company. 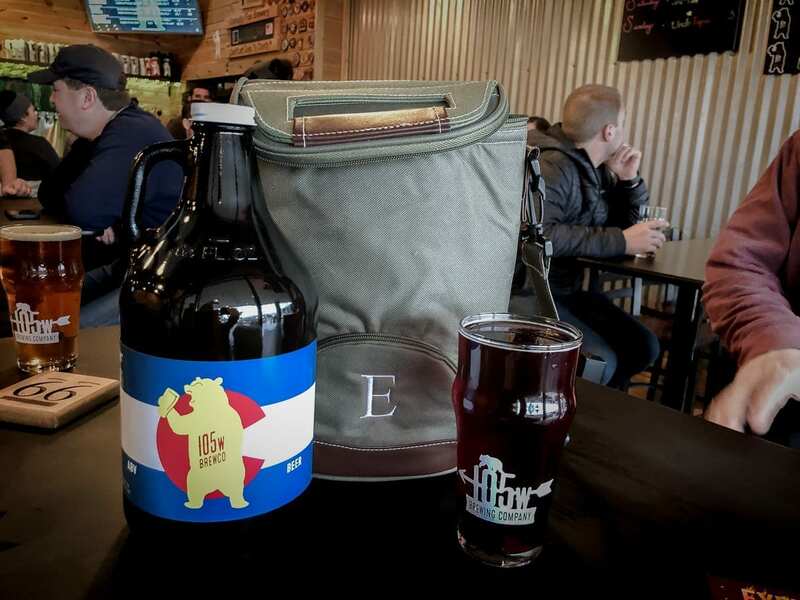 Considering the success and name recognition that this Greeley-based brewery has achieved in just three years, they definitely don’t have anything to complain about. But even by those standards, last week was particularly awesome. On Tuesday, March 20, the Brewers Association announced they were finally adding a category for New England-style IPAs. This is the same juicy, hazy style that WeldWerks brews often and brews very well. It’s the style behind their flagship beer, Juicy Bits, and all it’s delicious variations. This thick, hazy, tropical, citrus-filled IPA is what first turned us on to WeldWerks… and we’re not alone. Now that the Brewers Association added “Juicy or Hazy” ales to their list of beer categories, it will be interesting to see if WeldWerks can turn that orange haze into something more metallic and shiny. Whether they ever win a GABF medal is irrelevant. What’s awesome is that at least now they have a category where they can be considered. A few days later on Friday, March 23, WeldWerks was named the top craft brewery in America in the USA Today/For The Win Bracket Madness 2018 craft beer challenge. In this March Madness-style contest, WeldWerks faced some seriously tough competition. 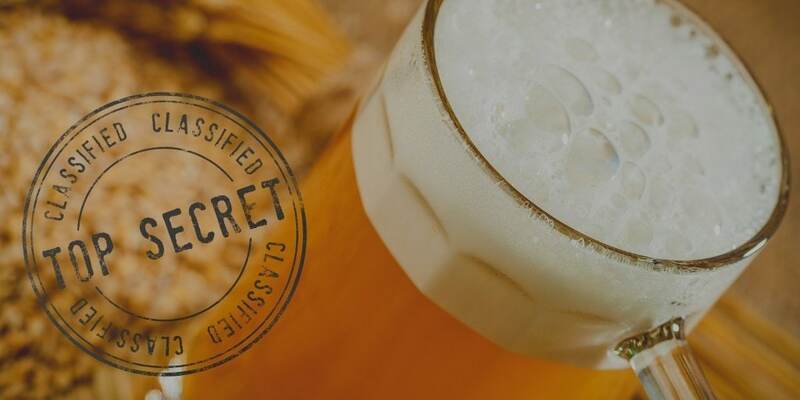 Many of the top-rated breweries on Untappd were seeded into this challenge, including craft brewing giants like Russian River and The Bruery. So when a smallish, newish, ruralish Colorado brewery who even doesn’t distribute out-of-state comes away as the big winner … well, that’s something! As if the week wasn’t good enough, WeldWerks wrapped it up with a 3rd Anniversary celebration in their Greeley taproom. The three-day event (March 23-March 25) featured special beer releases, brewery tours, food trucks and a photo booth. That’s where we come in! We couldn’t pass up a chance to celebrate one of the most buzzed about and sought-after breweries in Colorado. Besides, we love a good road trip, and Saturday was a beautiful day for a leisurely drive to Greeley. Saturday wasn’t our first trip to WeldWerks Brewing, and it definitely won’t be the last. Although this time we were far less certain we’d be enjoying any beers. We got a late start, and with the Anniversary Party already in full swing, we weren’t sure we’d even be able to get in the door. However, once there we were excited to find the WeldWerks taproom bustling with activity, but not insane or over-crowded. There were lines, but they were manageable and moved quick. Everything was well-organized, and everyone was smiling. Best of all, they hadn’t run out of any of their special release beer! All the draft and to-go offerings they had made available for Saturday were still available. We were stoked to get to stock up on a lot of incredible WeldWerks beer to take home. Believe it or not, this was us showing some restraint. Once our to-go purchase was secured, we settled into the taproom to enjoy some great WeldWerks draft beer. We enjoyed several beers, but mostly stuck to the smaller pours so we could try a variety of the 20 or so offerings. From the IPA selections, we had Juicy Bits, Fruity Bits Piña Colada, Triple Dry Hopped Juicy Bits and Net Cutter IPA. Our next favorite WeldWerks style is their stouts, and from this side of the menu we selected the French Toast Stout, Coffee Coconut Stout, and Neapolitan Achromatic. We’ll cut to the chase on our tasting notes and just say that everything we tasted was delicious, and there wasn’t a single beer we wouldn’t recommend. It was really good stuff! If you’re wondering “what about Medianoche?” then clearly you’re a next-level beer geek. WeldWerks Medianoche, their barrel-aged imperial stout, has something of a cult following. Blame it on the limited supply, or that this GABF gold medal winning beer is considered by some to be one of the best barrel-aged stouts in the state. For whatever reason, bottles of Medianoche are hard (and expensive) to come by. However, WeldWerks had 7 variants on tap over the course of their anniversary party! So which did we order? Not only did WeldWerks offer tours during their anniversary, but our tour was led by the one-and-only Neil Fisher, WeldWerks Head Brewer & Co-Owner. Fisher took us through the brewhouse and barrel room. However, he didn’t talk much about their brewing process. Realizing that everyone on the tour already knew the ins-and-outs of how beer was made, we focused on other topics like the history and success of WeldWerks Brewing. Neil Fisher, left. Note, he’s not the one in the Neil Fisher t-shirt. Fisher started WeldWerks Brewing with co-owner Colin Jones after the pair met at a local homebrew club meeting. Neither had any professional experience brewing, so just opening a new brewery was a leap of faith. So how is it that after just three years WeldWerks is one of the most buzzed-about breweries in Colorado? There’s no magic to their success, the story is actually pretty simple. They focused on a few key things and worked hard to do those things very, very well. Did they anticipate this kind of success? No, certainly not. But fortunately, they had the foresight to plan for it, just in case. 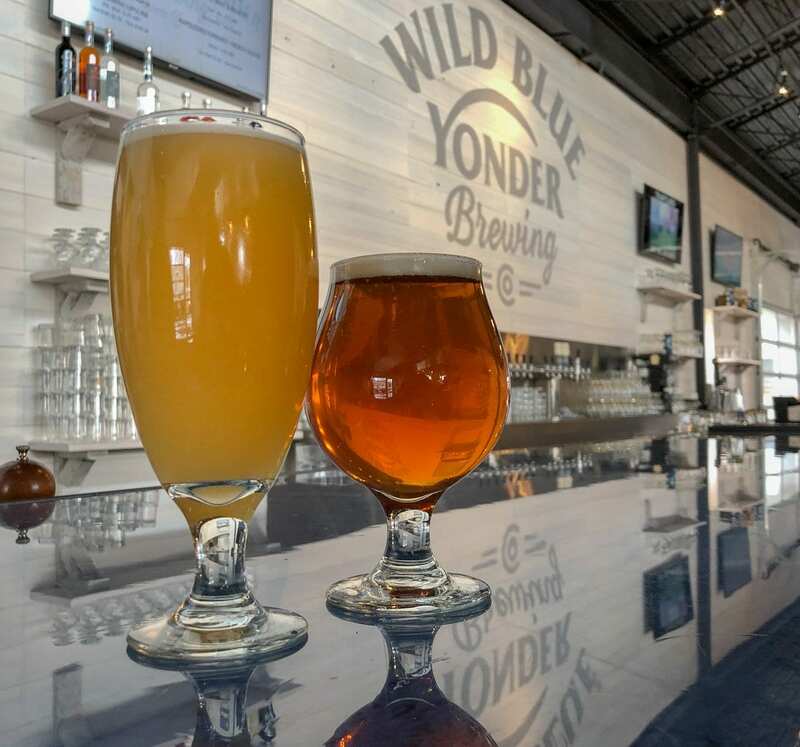 When asked why they purchased such a big brewery and taproom as new, inexperienced brewery owners, Fisher explained, “We didn’t expect success, but we didn’t want to be surprised by it either.” That ended up being a very smart move, since they have a home well-equipped for their large crowds and increased brewing. Above all else, Fisher says that he and Jones consider their WeldWerks employees and staff to be their #1 priority. Employees at WeldWerks are paid competitive wages so they don’t have to rely on customer tips. When they do receive tips they re-invest the money into their employees, helping WeldWerks fund their employee paid time off program, health insurance for staff members and their families, and continued education opportunities. A happy staff is definitely one of their primary measures of success, and for what it’s worth, all of the WeldWerks staff seemed pretty happy to be there. We arrived to find most of the staff wearing t-shirts bearing the names of the brewery owners on the front, and “I work here, ask me what I do” on the back. Apparently, this was done as a surprise to owners Fisher and Jones. Yeah, that definitely sounds like a happy staff! All smiles … but far too busy for us to ask them to pose for a picture. Being in Greeley has worked out well for WeldWerks. Not having to compete with a bazillion other breweries in the same town allowed them to take risks they probably wouldn’t have been afforded in a larger market, like Denver. The brewery shows appreciation for this by giving back to the community. Not only do they give to local non-profits, but they celebrate and promote Greeley in general. When people come to WeldWerks from out-of-town, Fisher hopes they check out downtown Greeley, stay for dinner, maybe even spend a few days. Most important, while their current success means they could easily move to a larger market, WeldWerks has no plans to expand outside of Greeley. Greeley is their home, and they plan on keeping it that way. This one seems obvious, and yet, we’ve all been to new breweries who have broken this one rule while they are still “learning their system.” That wasn’t how WeldWerks wanted to operate when they opened. While brewing on big, professional systems for the first time is hard, from day one they refused to serve anything that didn’t meet their high-quality standards. Fisher says a lot of beer was dumped out during that first year. Like, a LOT of beer. While some would see that as money down the drain, that commitment to quality served WeldWerks well. Customers can trust that when they order a beer at WeldWerks, they’ll get a glass filled with something awesome, no exceptions. And while this may be the company’s 3rd priority, it’s a critically important one, because this is what helps them afford their other two priorities. This year the taproom should see some especially creative new WeldWerks brews. The brewery has set a goal to brew 100 new beers in 2018. Fisher says this is a way they can focus on brewing what they are passionate about, and they’re already off to a good start. They’ve brewed 31 new beers in 2018 already, and have plans for 2 more each week for the rest of the year. That means that guests in the WeldWerks taproom should always have something new and exciting to taste, every time they visit. It’s ambitious, and we love it. It will be interesting to see what new creations the team at WeldWerks will dream up. Maybe it was the beer kicking in, but Fisher got us all fired up about WeldWerks Brewing Company. We already liked them a lot, but after this anniversary party, we left with a whole new appreciation. People are really passionate about this brand, and now we totally get it. Also, we left with a trunk-load of WeldWerks beer, so our appreciation for the brewery will likely continue to build as we enjoy more of their beer. Still, there is something awesome about being in the taproom, getting your beer fresh, and chatting up the happy WeldWerks staff. If you haven’t visited WeldWerks Brewing, we think it’s time you checked them out. The bottom line is if Neil Fisher ever retires from brewing, he would be super successful working for the Greeley Chamber of Commerce. Fisher had us so hyped about Greeley we were planning a return trip before we even left town. Now we just need to find a good hotel near WeldWerks. You know… in case Medianoche is on tap next time we visit. Clearly, we’ve drunk the Kool-Aid, or more accurately, the Juicy Bits. We love WeldWerks Brewing Company. What do you think about them? Do they deserve all the attention, or are they overhyped? If you haven’t paid them a visit or tried their beer, seek them out, then let us know what you think in the comments. That is excellent advice, thanks so much! We are big fans of Hilton, so DoubleTree it is! And we’ll for sure be checking out lots more of the town once we get back there. Thanks!! The Colorado Model Railroad Museum should also be on your list to visit when you return.